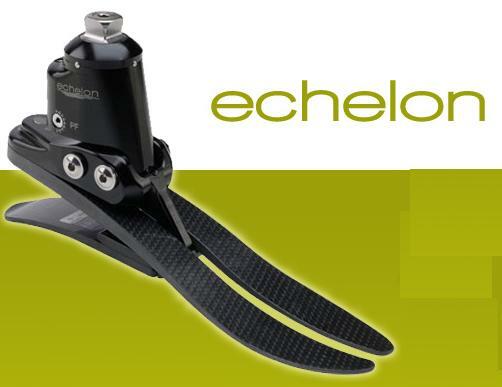 The Avalon Foot is the latest hydraulic foot/ankle system from Endolite. It enhances walking confidence because it hydraulically adjusts to inclines and steps, the Avalon self-aligns to secure the knee joint and encourage good posture and joint position, this enhances trans-femoral knee stability to help prevent falls and it reduces unwanted moments on the knee joint of trans-tibial users. The toes dorsi-flex after mid stance and remain elevated during swing phase providing increased ground clearance for safety and efficiency. 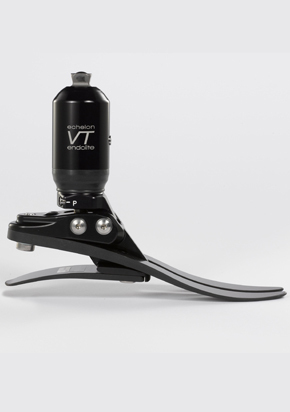 The new echelonVT prosthetic foot provides the active Level 3 user with terrain conformance, rotation and shock absorption. It is ideal for robust, moderate impact activities like hiking that require a multi – axial, biomimetic function with a high level of energy return. PROPRIO FOOT offers an unprecedented level of mobility and stability for uneven terrain. 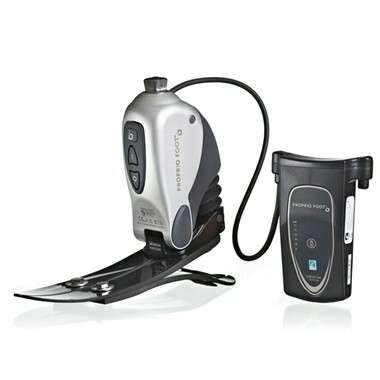 This foot offers powered ankle motion, intelligent terrain adaptation, and natural function.